"The Museum of Modern Art, New York, and 5 Continents Editions" present a new series dedicated to industrial and graphic design. Each volume, beautifully designed and with superbly printed reproductions, offers an overview of a single country's design achievements and illustrates its particular design history and aesthetic, showcasing prominent architects and designers through exemplary works drawn from MoMA's unmatched collection. Each volume contains an introduction by Paola Antonelli, Senior Curator in the Department of Architecture and Design at MoMA, and an illustrated essay by a distinguished design critic, accompanied by a visual timeline of significant events and a comprehensive bibliography.This volume brings to light what is American about American design. American design, like much of American culture, perennially oscillates between populism and elitism, between the revolutionary beauty and availability of Tupperware and the elusive exclusivity of Tiffany's. 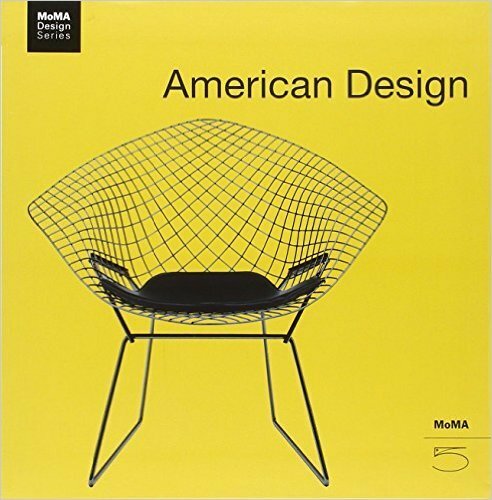 This book traces the development of American design from the 'armory practice' of early American machinists, through mid-century 'design for modern living,' to the branded, consumer-oriented design of the present day. Paola Antonelli's lively introduction provides an overview of United States' design culture; an essay by Russell Flinchum illuminates the masterpieces of modern American design reproduced in the volume's plate section. They are accompained by an illustrated chronology of important events that have influenced American design as well as a comprehensive bibiliography.